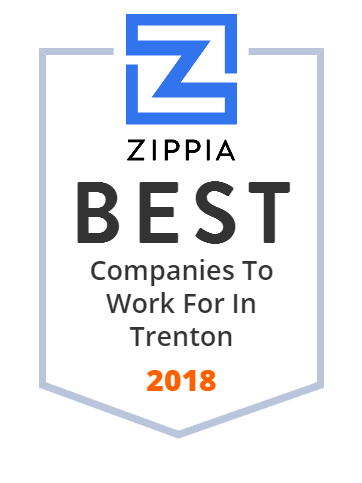 We hand-curated a list of the best companies to work for headquartered in and around Trenton, NJ using data on salaries, company financial health, and employee diversity. Dedicated to providing quality services that consistently meet expectations with the goal to protect, assist and empower economically disadvantaged individuals and families, and people with disabilities to achieve their maximum potential. Capital Health is the region's leader in providing progressive, quality patient care with significant investments in their exceptional physicians, nurses and staff, as well as advanced technology. Comprised of two hospitals their Regional Medical Center in Trenton and Capital Health Medical Center and their Hamilton outpatient facility. Serious personal injury and civil litigation law firm. Major cases. Proven results. Tweets not legal advice/endorsement. The New Jersey State Police, is the official state police force of the US state of New Jersey. First Bank provides various banking products and services to individuals, businesses, and governmental entities in New Jersey and Pennsylvania. The company accepts various deposits, including non-interest bearing demand deposits, interest bearing demand accounts, money market accounts, savings accounts, and certificates of deposit, as well as commercial checking accounts. Its loan products include commercial and industrial loans; commercial real estate loans, such as commercial real estate owner-occupied and investor, construction and development, and multi-family real estate loans; residential real estate loans comprising residential mortgages, first and second lien home equity loans, and revolving lines of credit; and consumer loans, which consists of auto, personal, traditional installment, and other loans. The company also provides Internet and mobile banking, electronic bill payment, banking by phone, ATM and debit cards, wire transfer, and ACH transfer services. As of April 06, 2017, it operated 10 full-service branches in Cranbury, Denville, Ewing, Flemington, Hamilton, Lawrence, Randolph, Somerset, and Williamstown, New Jersey; and Trevose, Pennsylvania. First Bank was founded in 2006 and is headquartered in Hamilton, New Jersey. Bill Brown and Company.Best selection of promotional items, apparel and corporate gifts. Let us earn your business with our 1st class service and low prices. Established in 1997, Medical Diagnostic Laboratories, LLC (MDL) serves mainly as a reference laboratory for molecular diagnostic-based testing to laboratories, hospitals, and physicians worldwide. It specializes in high complexity, state-of-the-art, automated DNA-based molecular analysis. Aside from developing clinical diagnostic tests, the company also performs contractual research work for major commercial, governmental, and academic organizations. Charles Jones has advanced the art and science of searching, and earned a distinctive reputation for accuracy and dependability. The company got its start in 1911, when Charles Jones, a Newark attorney, manually searched and indexed public records filed in New Jersey. A pioneer and visionary, Donald Jones led the company along this new frontier. Tomorrow's Treasures inventory ranges from porcelain dolls and stuffed animals to framed prints and crystals. They understand what collectors want and they love helping their customers complete their collections or find that one special item. They are happy to help you find what you are looking for, whether it is new or old. With platform technologies in chemotherapy and gene-mediated immunotherapy, and RNAi engineered to enhance the clinical benefits of proven agents, Celsion's mission is transformational. They seek to combine product technologies with novel targeting strategies to support their ultimate goal of improving survival and providing cures for challenging cancers. Mercer County's 376,000 proud residents have always had much to celebrate. From its historic treasures to its diverse communities and economic stability, Mercer County is where history meets prosperity. A strong, diverse economy; a skilled, highly educated workforce; a prime location between two metropolitan areas. SJ Nurses Home Health Care Services and Staffing is a product of hard work, diligence and compassionate home care delivered to client's homes for many years since 1984. They are proud of our many accomplishments and accreditations. There are no "independent contractors" in their staff. They take time and put great weight into the process of hiring care professionals at their agency.